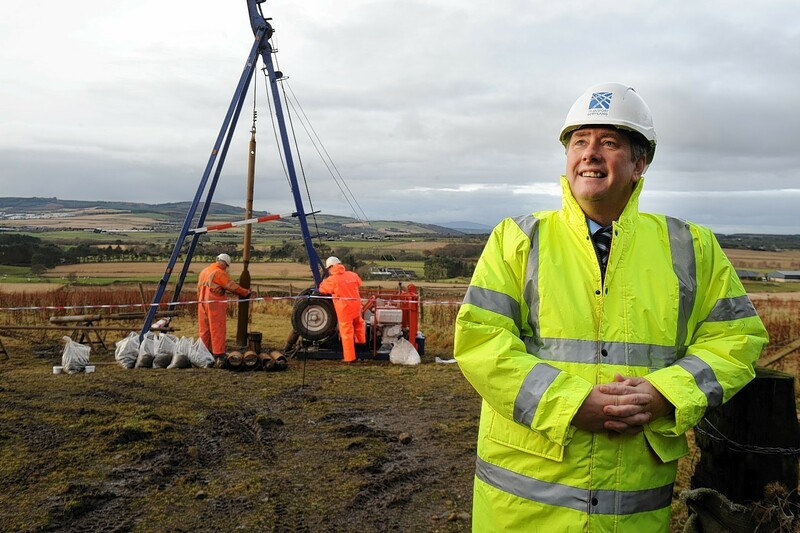 Infrastructure Secretary Keith Brown heralds start of work on Aberdeen bypass. Road users in the north-east are in line for good news this morning with the announcement that the Aberdeen bypass will be completed up to six months ahead of schedule. and the associated dualling of the A90 between Balmedie and Tipperty – are now due for completion in the winter of 2017, and not 2018 as originally forecast. The early conclusion of the £745million project could also bring forward work on one of Aberdeen’s worst bottlenecks, the Haudagain roundabout. The Scottish Government has always insisted the junction cannot be improved until the AWPR is complete. It now plans to review the project in the light of the revised schedule for the bypass. The AWPR construction will take a step forward today with an announcement that the government intends to award the contract to the Connect Roads consortium, signalling the go-ahead for the final phase of the procurement process. Mr Brown said the acceleration of the 36-mile scheme was “unprecedented”. “Following the shortest procurement process for a contract of this size and complexity – it has been just 23 months since the contract was put to the market – we have now been able to also bring the completion date forward to winter 2017,” he said. Mr Brown – who was transport minister until his promotion to the cabinet last week by new First Minister Nicola Sturgeon – hinted that the Haudagain could be finished early as well. “We are also committed to making improvements to the Haudagain roundabout once work in the AWPR scheme is finished, and we are now reviewing the programme in light of the new completion date,” he said.